I upgrade and immediately my forms get jacked up? I've used your free service for almost a year, and its been great. I upgraded an hour ago and theres been nothing but issues. ????? 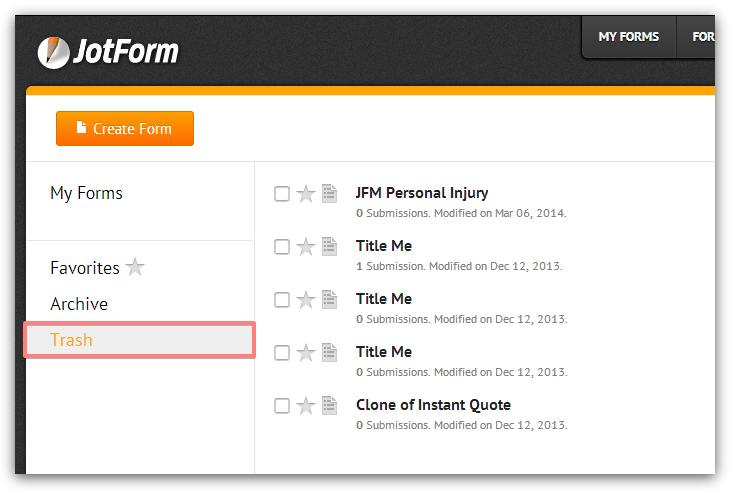 I spent an hour formatting a new form and not only did it not send notification emails; it VANISHED. Fantastic. We are very sorry for any possible inconveniences caused. Can you please check a Trash folder? If the form is there, you can restore it. In case your form was not properly saved, please try a Form Revision option to see if there are other versions of the form. If you need any further assistance on this, please provide us with the form name/link and we will try our best. Please kindly create a separate thread about email notifications. We will be happy to help.